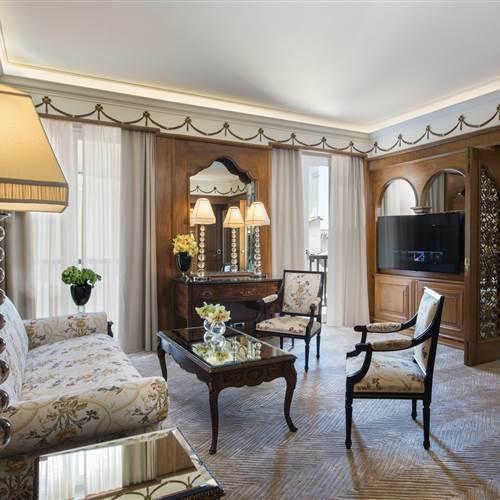 Elegant, spacious and imbued with the atmosphere of a noble home, our Executive Suites have been completely refurbished in Summer 2016. 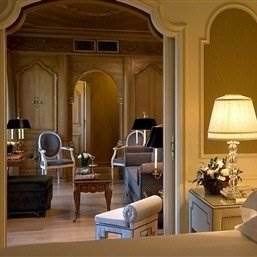 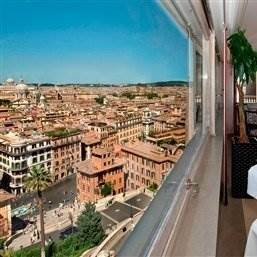 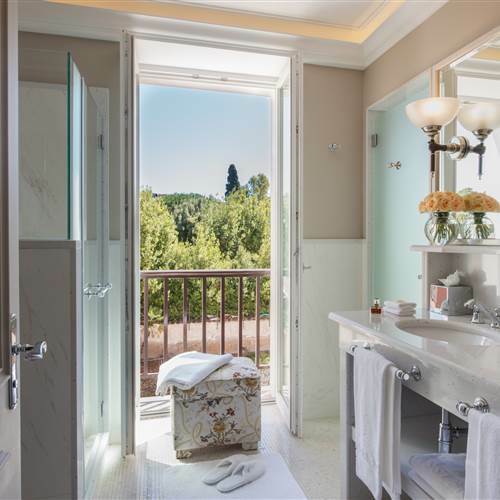 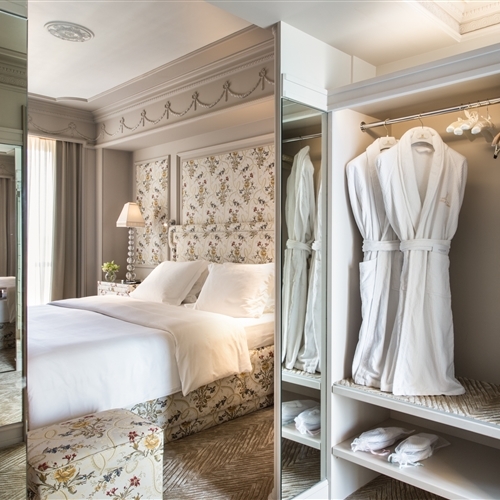 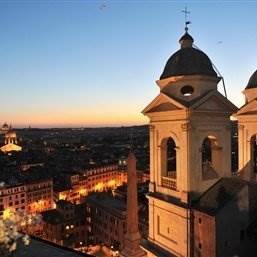 Beautifully restored, each suite has a wide and refined living room, a cozy bedroom with a large walk in closet, a stylish and bright marble bathroom overlooking Villa Borghese Gardens and a guest bathroom. 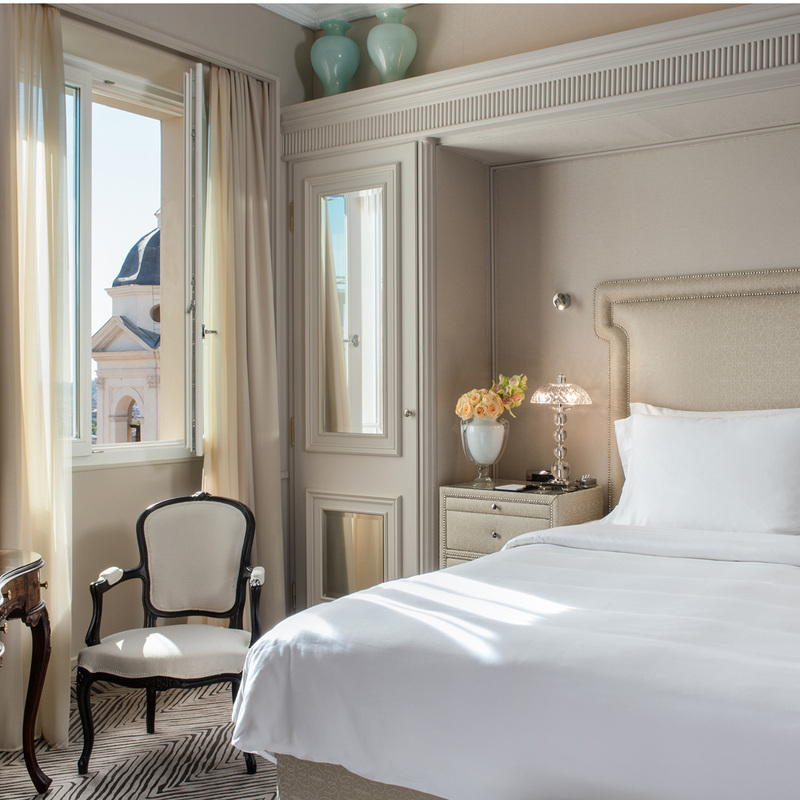 The picturesque view over the city from the Hassler privileged perspective will make your stay in our Executive Suites romantically unforgettable.